Welcome to the North Star Chapter Website! Chapter meeting this coming Wednesday, 7:00 pm at Atonement Lutheran on New Florissant Road, near Lindbergh. Please wear full Field uniform and sash for the business meeting during the first part of the meeting. “Chapterball” will be the activity after the business meeting. Wear shoes and clothes appropriate for running and jumping! Apologies for the late notice, we seem to be having trouble with the email notices. Jumpstart for new Arrowmen and parents. Troop Rep changes, please use this form. The purpose of this webpage is not to compete with the www.stlbsa.org page! This is intended to merely be a ‘supplement’ that is more accessible for our volunteers to post information. Our web page and the STLBSA web page are maintained by different groups with different levels of response time; so, we encourage you to check BOTH web pages! We’re doing a service project at the Missouri Veterans Home – St Louis on Saturday, March 17 from 3:00 PM to 5:00 PM. The Veterans Home is at 10600 Lewis & Clark Blvd. That’s Highway 367, just south of I-270. We will be taking apart and putting together things for them up there. Awesome service opportunity for those not going to Shiloh with Troop 374. The Vets that live there have earned our honor and respect and The Order of The Arrow, North Star Chapter is just the group that can show that to them. Link to FB event. Please indicate if you’re going to participate. Planning an Eagle Scout Court of Honor? Your North Star ceremonial teams can help by providing a special ceremony called the Four Winds. It adds a special meaning to your Court of Honor. We will provide a costumed team you can add to your Court of Honor program. We will work with you to help make your day special. We provide this service for any Eagle Scout in the Northstar District, whether you’re in the Order of the Arrow or not. Request a Four Winds ceremony by completing the form on this page. Meetings started January 8th, 2018. 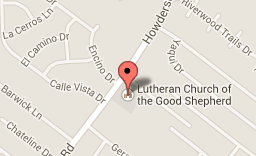 If you wish to join us, then show up on Mondays, at Lutheran Church of the Good Shepherd, at 7:00-8:30 pm. This also works as a sign off for your brotherhood cards.